For requests for interviews please be sure to include your preferred method of contact and any deadlines as well as your organizational affiliation. Mr. Johnson is also available to speak at Universities, special events and church events. Please be sure to include details and timing for speaking requests. 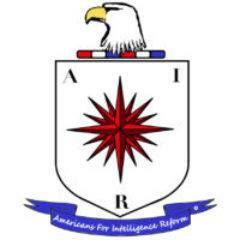 Americans for Intelligence Reform is dedicated to strong National Security. Fundamental to our national security are the two essential elements of a strong military and robust intelligence program. The US Military is large and very well understood by politicians and the public alike; our hundreds of thousands of veterans, active duty military and their families represent military interests across every aspect of the US Government and include former Presidents, active and former US Senators and Congressman and every level of government. When the political will exists to support the military, the improvements are debated as to priority but are well understood by most. The world of intelligence is far smaller, less known and particularly in the area of espionage or HUMINT (Human Intelligence) is shrouded in darkness and mystery particularly to even the most senior levels of the US Government. There has never been a President who was former CIA and rare to have a current or former Congressman or Senators who served in CIA operations and very few CIA officers leave the would of intelligence to go back into positions of influence within government circles. The CIA needs to return to its roots of effectively gathering intelligence and stay out of politics. One of AIR’s core missions is to educate policy makers and their staffs and promote practical and effective legislation. We welcome comments and suggestions from all interested parties.